Before I reveal the thoughts which have crystallised from brief pulses in my synapses to more concrete conclusions over the course of the season, I will mention the happiness I felt course through my crimson rivers and all the areas of my being to which they bring life when Higuain scored with a classy deft touch and then Dybala confirmed the victory and made another welcome step on the road to recovery after his lengthy spell on the sidelines. I still hurt when we lose and still roar with joy when we win, especially on the big stage when not quite all seems lost but we are fighting back from a losing position. And so…please understand that my words are those of a Juventino. Of several decades following the club through gilded eras and passages of brutal disappointment. Over the course of the two legs there is but one team whom I would honestly suggest as worthy winners. What do I mean by worthy eh? I mean the team which played the most entertaining football, the side who approached both ties as a unit, as a team, as One. Who strove for open, expansive, attacking football. Whose rank and file were united in their determination, in their belief, in their endeavour. 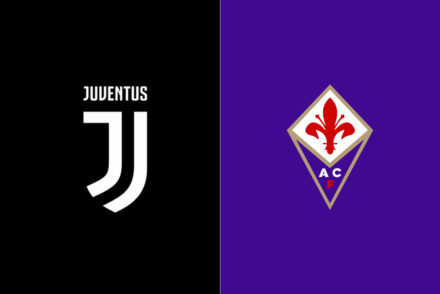 These descriptions clearly – to at least my own understanding of the game and sense of logical reasoning – are not of our beloved Juve, but of Spurs. Truly, I feel sympathy for their exit from the competition. Which is an unusual feeling that I cannot recall ever previously experiencing. Plenty of times before this season I have felt the opposite, when we have been wrongly ejected from the latter stages of the premier continental competition when playing with heart, cohesion and beautiful poetry. Yet never this strange sensation…that we sneaked through against a side who outplayed us convincingly for 80 minutes in our own backyard and 60 minutes in London. Only a fool would suggest we were anything but lucky to progress. Yes yes! Had Higuain put away that penalty in the first leg…Had the very obvious penalty been awarded when Vertongen brought down Costa…we would have had 2 more goals to our name. Yet to give that mode of analysis a fair crack of the whip, I find far more near-misses for Spurs to add to their tally. It is fair to say that for all the huff, puff and good quality football Spurs produced, they simply lack the quality of Juve. We are a machine, with the parts firing not as one; a light goes on here, with darkness elsewhere, then that goes dead and another part of the machine starts to work, flashes in the pan of a machine working haphazardly. Contrast this with Spurs; a machine resplendent in the combined light of all parts working as One. We qualified for the last 8, yes of course, because we probably are one of the top 8 teams in Europe, when it comes to the solely the quality of individual players and experience combined, yet we beat spurs solely because we have better parts in our machine. This will not be enough against all but probably Roma (or Donetsk), United and Liverpool, out of the sides who we might face in the quarter finals. Brief moments of individual quality without the side working as one unit, without any strong sense of identity and system, is only going to work out well for us against teams of inferior quality. Such as Spurs. Of the 7 very presentable chances I counted for Spurs in just this second tie, I would expect the conversion rate for Real, Barca and City to be at least double what Pocchetino’s side achieved. Perhaps even higher. And that is without factoring in that those sides create more chances as they have stronger squads and more settled systems. They also defend more carefully and intelligently. I have long cringed to see the ignorant social media attacks on Lichsteiner, then found myself baffled by the praise for De Sciglio (who I had such high hopes for!) for no matter whether I saw Barzagli at RB or Mattia, what was plain to see was that both offered close to zero support in the final third. I agree, he is long in the fang. His passing is losing accuracy (though it was never exceptional) and his engine is slowing. However, as an attacking fullback who we could also rely upon to do a job defensively, he has remained the leader of the pack. The decision to play Barzagli against a very much in form Son was inviting trouble. The only explanation for this otherwise appalling tactical error was that Allegri rolled the dice, assumed Barzagli would get mauled and gaps would appear higher up our right flank for Costa to exploit. This was possibly his plan. Other than charge Pjanic and Khedira with focusing all their energies on not playing or even seeking the ball but neutralising Dembele and Eriksen. Whilst the latter part of the plan worked to some degree, the former did not. 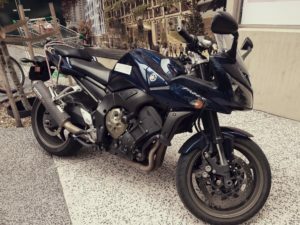 up against a KLR650…reliable, perfect actually if you ask of it what it is designed to perform, just keep going, dependable, ride through any terrain or storm, slow but unwaveringly sure, stick to the task, but no…not ever to race the FZ1 on the open road. Barzagli had a fine last 30 minutes in the middle, where he has made his name throughout his career. Yet as a fullback, he was woeful. Which isn’t his fault. As it isn’t Sturaro’s fault when he has been asked to play as a wide midfielder on occasion, when his bread and butter has been as a rugged box to box central midfielder. Yes I nod my head with begrudging respect to Il Mister, for he did finally understand that playing an out of form LB in place of an more steady alternative and a slothful CB in place of a hugely experienced, still international calibre by Swiss standards (well above Italy as per FIFA!) fullback was probably not for the best. This acceptance of his selection proving wretched turned the game in our favour, or at least gave us the opportunity for more cohesion, if not solidity, with players more comfortable in their roles and the gaps for opponents to exploit instantly diminished. Mr KLR 650 Barzagli also gave his very best, played with his heart on his sleeve and proved his worth in the final third of the game when returned to his powerful CB role. Other than which, only Buffon emerges with any real commendation for he played with the assurance of a living legend equipped with the physical responses and agility of a player ten, if not twenty years his junior. Dybala took his goal exceptionally well, as did Gonzalo, and like many others, they were completely different players when the tactics were in any way close to Balanced. We are knee deep in blood and guts well in the latter stages of the season and yet we have no settled starting XI, no accomplished system, but still…hope. With the major positive domestically remaining that we have the strongest squad, and the only positive in Europe now presenting as…we are the only side yet to approach the basic potential of our combined talents. Does the change of formation and instant reaction of the players suggest the problem is tactical or more selection? I would opt for a bit of both. I suspect Sandro’s issues are mental or emotional, not physical. With De Sciglio, unfortunately it’s all three. Despite the moments of individual quality which won us the tie, we remain a ramshackle outfit…More the olde english definition than the modern. I would prefer to see Lichsteiner and Asamoah playing in a flat back four. They are my first choice fullbacks in our starting XI. Marchisio is an interesting and poignant subject. I believe he is a superior player, even from what I have seen post-injury when his body may not be as it was, for his guile, tenacity and movement offer more presence in the middle than Khedira. As to why he has been close to frozen out of the limelight, I can only assume Max has his favourites. It remains tricky, however, to discern exactly what Khedira, and even Sturaro offers beyond the established skill-set of Il Principino. It will be curious to learn what transpires in the first leg of the quarter finals, with Pjanic suspended. The ONLY player we have anywhere near suitable for a creative role in the middle of the park is the italian, who deputised very well for Pirlo in the past. He stuck to his task, altered his game and matured. Chiellini and Barzagli in the middle are beyond question when it comes to experience and cunning, yet physically, above all in terms of all important pace, they are liable to be undone. Yet it is too much to hope that Rugani is brought into the fray at this stage of the campaign. Though this would be my own selection. This is assuming Bernardeschi is out for the season. Why not play with true wingers, solid fullbacks and strength through the spine? With Marchisio deputising for Pjanic OR Matuidi. Well, it comes to playing the game in the Right way, It is not all about winning, at least to me. I want to see a team play as a team, fighting for each other, complementing each other, a manager able to narrow his eyes, understand the strengths, marry them together, and lead the troops into battle with many hearts beating as one, with many lungs breathing as one. For me Juve is not about winning is all that matters it is about feeling as if the players are fighting and seeking beautiful moments, and I am part of that noble cause. The pursuit of a team unit expressing themselves as one being in an honest manner, drenched with valour, is my own personal love of the game…of the club. We are through to the quarter-finals, yet to reach our potential and remain in the running for a treble.